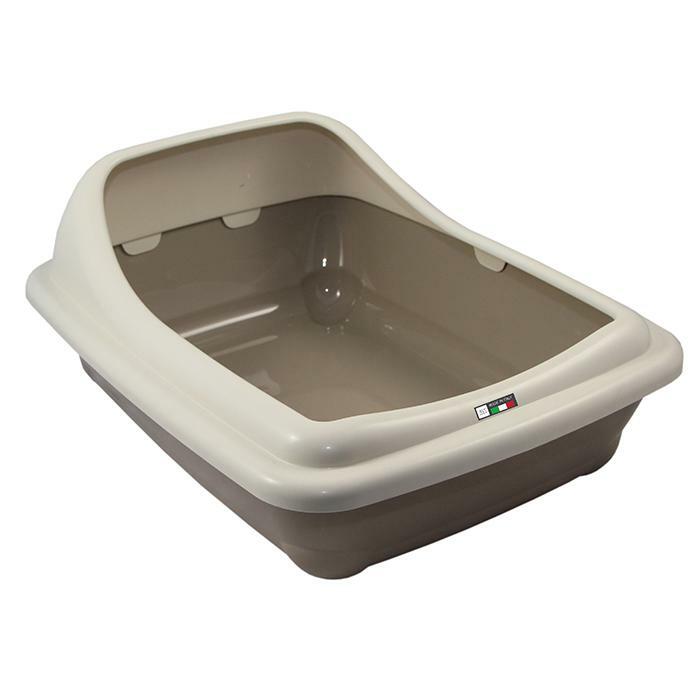 ZEEZ BIRBA LITTER TRAY Large 56x39x21cm Mocaccino - 210_CAT LITTER PRODUCTS, ZEEZ Birba - Litter Products - Product Detail - Prestige Pet Products Pty. Ltd. The ZEEZ Birba Litter tray is a high quality, contemporary and stylish designed litter tray. This large litter tray features a high back rim to reduce the risk of litter being kicked out. A gloss finish makes for easy cleaning and it also features non-slip feet to protect hard floors. Made in Italy.